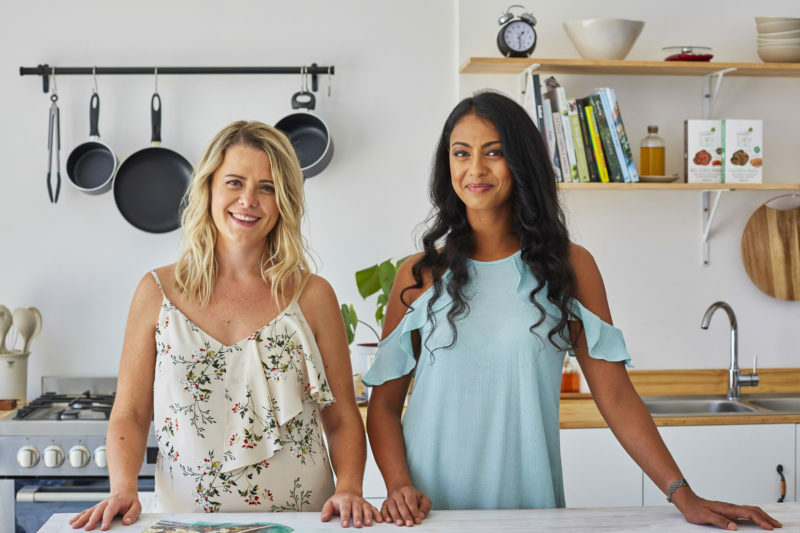 If you have not heard of Happy Earth People – let me introduce you to this proudly South African brand, owned by Taleszia and Candice. The ladies have built their business around a very simple philosophy – that pulses are the nutritious superfood of the future. Legumes (AKA pulses) include the dried pea, bean, and lentil families and are fantastic sources of protein and fibre, full of iron and loaded with antioxidants. According to their website – they may even be the answer to climate change-related food security concerns, as they need very little water to grow and are nutritionally packed! The ladies ensured their packaging was environmentally friendly too – with no plastic in sight, just a biodegradable box. I received both the Lentil and Chickpea pasta and decided to use the Chickpea variant to create a recipe. The Chickpea Pasta is naturally gluten-free high in fibre and plant protein and only takes 6-8 minutes to cook! 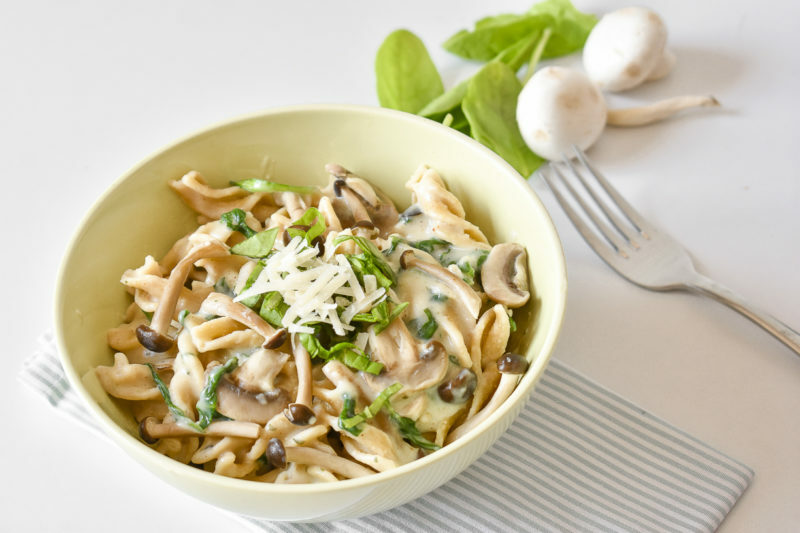 I used two different types of mushrooms, including button and shimeji and a combination of soya milk and parmesan cheese to give this pasta a creamy texture, without actually using cream. There are also a host of other recipes on the Happy Earth People website, such as Spicy Chickpea Tagine and Festive Pasta Salads. 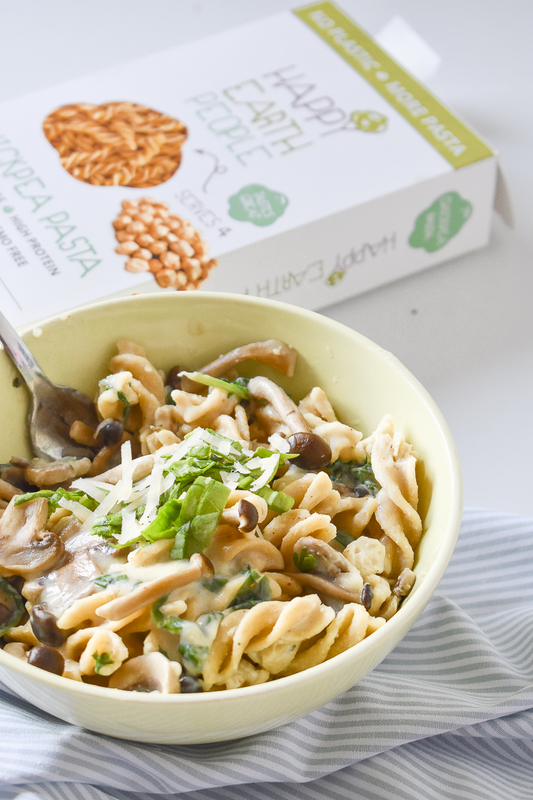 This recipe uses Happy Earth People Chickpea Pasta. Make for dinner or lunch next Meat Free Monday. 4) Pour the sauce over your pasta and season further if required. I topped my bowl with shredded spinach and some more parmesan. As the name suggests, I am always hungry and thinking about food. 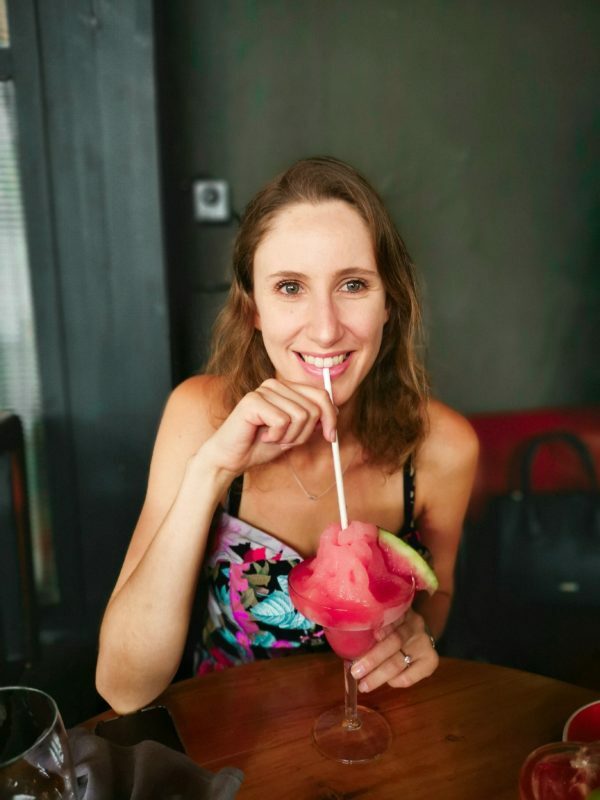 I started the blog to have a space on the internet where I could write and share my recipes and love for all things delicious. If you have any digestive issues, or are looking to lead a healthier life, then this blog is for you, because almost all of my recipes are either Gluten Free, Dairy Free, Vegan or IBS Friendly. While I am not a vegan (cannot ever give up eggs), I focus on a healthier plant-forward approach to eating, as well as nourishing gut friendly recipes. Occasionally, you will find some naughty treats – because seriously guys, what is life without chocolate? Healthy living should not feel like a chore, it should be fun and delicious and I hope to inspire you every day. When I am not blogging, I work as a freelance PR consultant, where I get to write content, promote brands through print and digital mediums, shoot images for restaurants, consult on website copy, conceptualise and implement campaigns and manage content strategies. 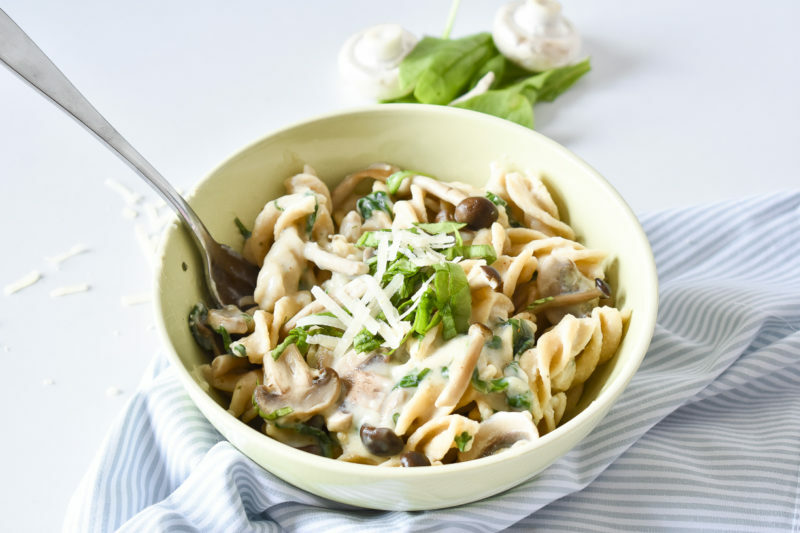 This entry was posted in Mushrooms, Recipes, Vegetarian and tagged Blogger, chickpea pasta, Delicious, Gluten free, Healthy, recipes, Vegetarian.